Is that you, God? Or just Morgan Freeman? 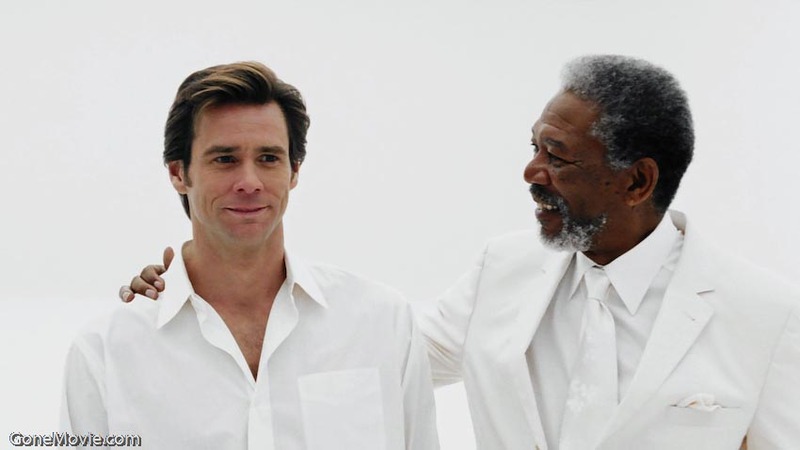 Bruce Almighty has one of my all-time favorite comedic scenes. If you have never seen the movie, Jim Carrey plays a down-on-his-luck character named Bruce Nolan. Bruce is trying to make it as a news broadcaster, but is stuck covering silly stories instead of being behind the big desk on the nightly news. Bruce gets himself fired and in the midst of his personal meltdown, he gets enraged with God and thinks that he could do God’s job better than God himself. So, God lets Bruce try to back it up. My favorite scene is when Bruce starts taking advantage of his new powers. Ultimately, Bruce realizes that he can’t handle the stresses and demands of this world trying to be God. He’s a human and imperfect and incapable. He needed God to be the focal point in his life in order for everything else to fall in line. As I write this, I’m sitting in the Birmingham-Shuttlesworth airport in Birmingham, Alabama. I’m enjoying my wild blueberry crunch bagel and my Starbucks skinny (makes me feel better about myself) vanilla latte. On the PA system, I hear the golden voice of God…err…Morgan Freeman. Morgan says, “Ladies and gentlemen in the interest of air safety and your own personal safety, please do not leave luggage unattended.” Absolutely! I will get right on that. I mean, it’s MORGAN FREEMAN! How could I NOT follow those sweet sounding instructions…heck, any instructions that roll off his lips? Punch the guy next to me? Sure thing, Morgan. Blow a raspberry on that old lady’s giggly arms? OK! He goes on, “Report any unattended bags or suspicious behavior to the nearest TSA agent. Thank you and have a nice flight.” You got it Mr. Freeman! That woman didn’t watch her bag when she walked six feet to the garbage. Oh, and that guy over there didn’t wash his hands after he peed. I’m pretty sure he’s up to no good. Your silky yet authoritative voice is comforting. Morgan Freeman’s narrative voice exploded in popularity and seems to be everywhere these days. I’ve never been more enthralled in penguins than when he narrated March of the Penguins. It’s funny how marketable, comforting and trustworthy Morgan Freeman’s voice has become. He is chosen for these roles because he has a calming force to him. He speaks clearly and directly. He sounds like someone you want to have coffee with. Could you imagine if he had to give you bad news? Morgan Freeman: Well, son, I’m afraid I’m going to have to let you go. Me: I understand, and I am so sorry you had to fire me. Can I repay you my salary or possibly shine your shoes? How quickly we are soothed by the voice of someone familiar, a parent, a friend, a celebrity or a musician. But, when we encounter those rocky times in our lives we shut out the one thing that can provide us the ultimate peace – God. In Scripture, God’s voice is described as gentle whisper (1 Kings 19:12); powerful and majestic (Psalm 29:4); striking with flashes of lightning (Psalm 29:7); being able to shake the desert (Psalm 29:8); thunderous in marvelous ways (Job 37:5); and roaring like rushing waters (Ezekiel 43:2). So, if God’s voice is all of these things, than why in the world don’t we pay attention? God wants us to figure pieces of God out on our own. Sure, he gives us prompting, but he wants us to genuinely seek him out. Hearing God isn’t as easy as having a little chat and some clever dialogue with Morgan Freeman (it’s goooood). God communicates with us much more subtly. He lives in believers daily through his Holy Spirit and we can feel his communication and his inspiration with us. God communicates to me in creative ways. He reveals himself to me through music. He opens my eyes to his glory through the photos I take or how I visualize the world around me. He also allows me to learn more about himself through communication. I find myself understanding my thoughts better when I’m in small group conversations, or talking with my wife or now, writing a blog. How does God communicate with you? Are you listening and responding?